Look! Now we all can become lion tamers, the pattern is finished. 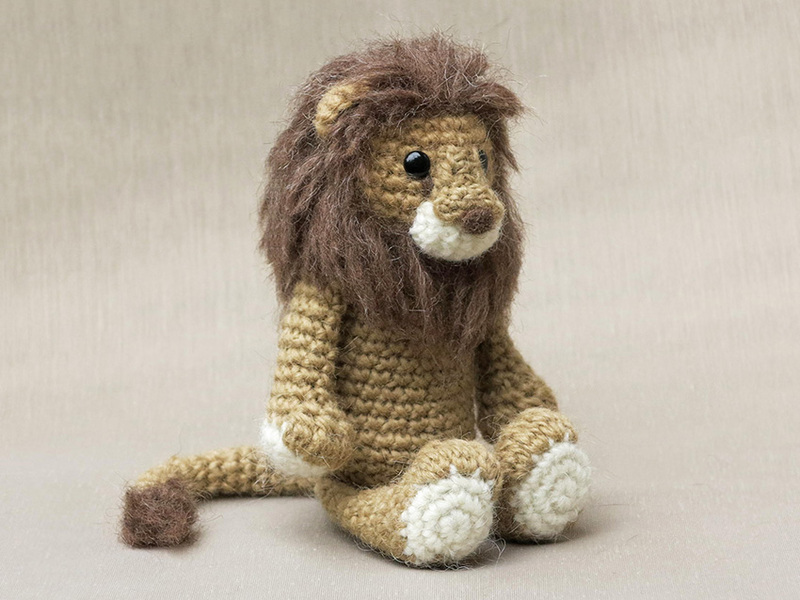 You have already seen the teaser picture of Lopi the crochet lion, but here he is in full glory. 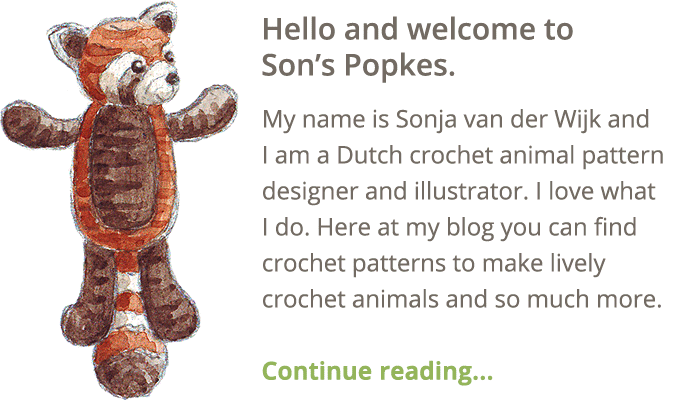 This was a lovely crochet animal to design. The most intensive part of making this crochet lion was inserting all the manes. Before I started I had thought of different ways to make the manes. I could use a mane cap, or just sew in the manes. I decided to go for manes crocheted right into the stitches. It’s not very difficult to do and gives the perfect result. (You just fold a piece of thread in half and pull it through the top part of a stitch with your hook and then fold the tails of the thread through the loop.) When I had all the manes inserted, the lion looked rather silly with his reggae hair. But after brushing and cutting, and some more brushing and cutting, he looked absolutely marvelous. Even my first attempt had such a beautiful lion look. I decided to change the mane colour for the final version but definitely would use this technique. The rest of the lion was fun to make, especially the haired tail, which also looked splendid after the hairs were inserted. 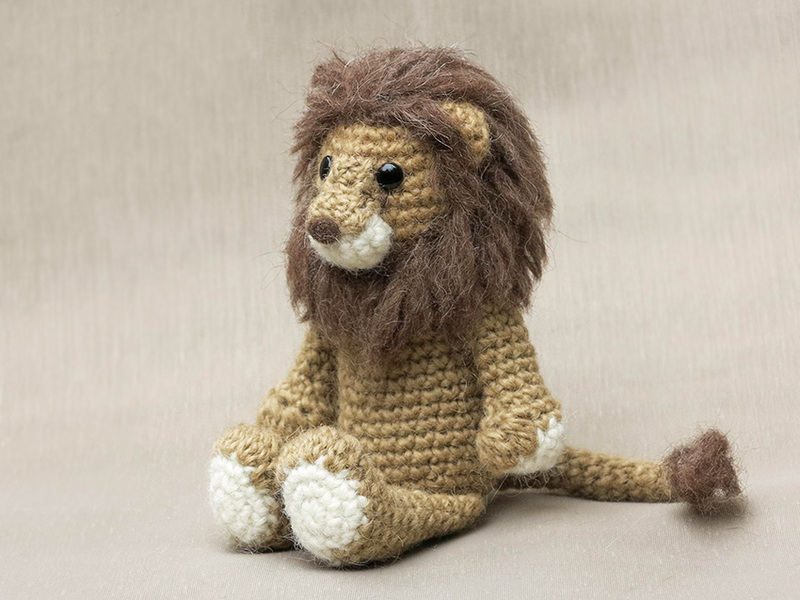 This crochet lion is not very difficult to make. The crocheting bit is very easy but giving the lion the final haircut does require your own skills. I can’t exactly instruct how long each hair has to be. I explained it as good as possible and with help from the pictures I (always) add to the pattern, I think everyone will be able to give his or her lion a nice lion mane cut. Now, where can I get this pattern? The pattern for this glorious and cuddly crochet lion, you can find in my shop and in my shop at Ravelry. Lopi is 6 inch / 15 cm tall when sitting. He is made with Istex lett lopi, 100% wool. 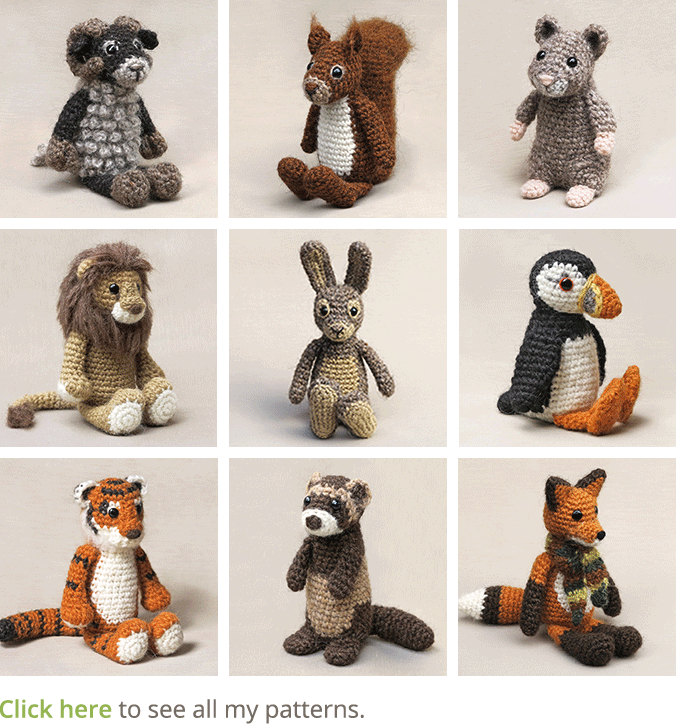 The pattern contains a clear description of how to crochet and assemble the lion with example pictures at the bottom to help you get everything right. In the pattern you can also find what materials you need, the Lopi colour numbers, in short, everything you need to know to make this king of the savanna. 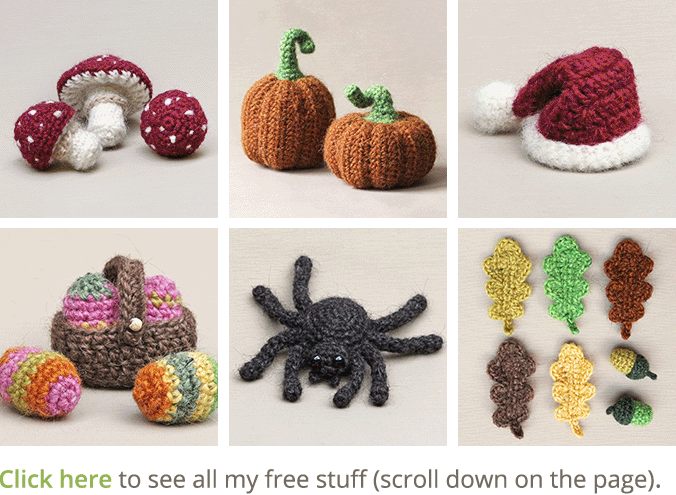 And heads up, the pattern has a one dollar release discount only the first week. That’s fantastic to hear Jan! I did my very best and the lion’s face is my personal favourite face so far. And do go easy, if you have any questions, just ask! Just bought the pattern; looking forward to trying this handsome fellow! He looks amazing! Thanks Lynne, looking forward to see how your lion is going to look. I’m going to order right now! That’s wonderful Wilma! Good luck with deciding which one will be next!